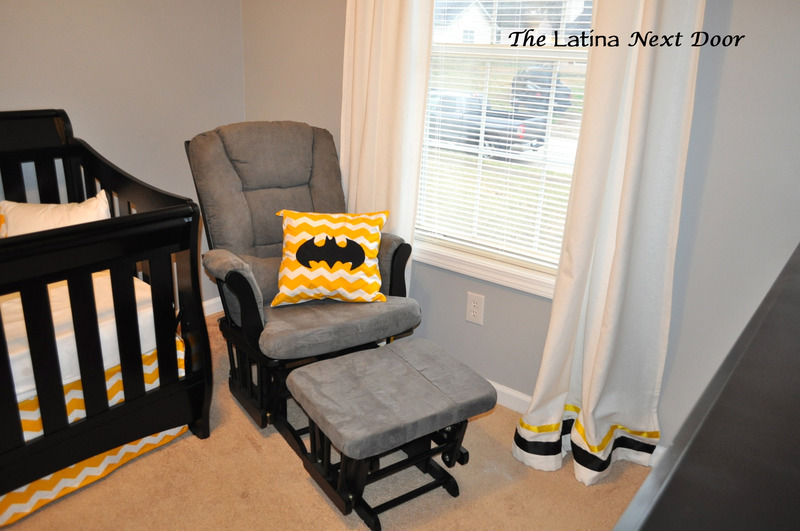 Ok, so this past weekend I (along with my hubby’s help) finally finished my nephew’s batman themed nursery. We are so pleased at how it turned out!!!! 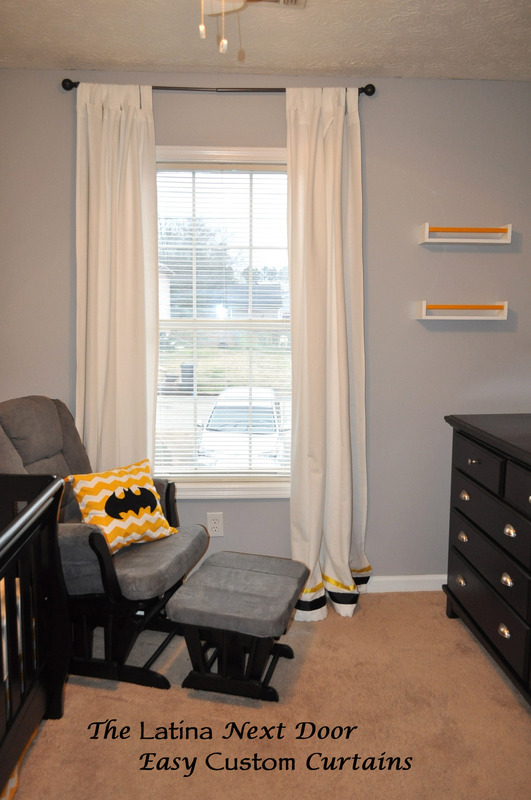 Since the furniture was black with bright touches of yellow, I wanted to keep the walls simple so we started by painting the bedroom walls a calm grey and all the trim bright white. 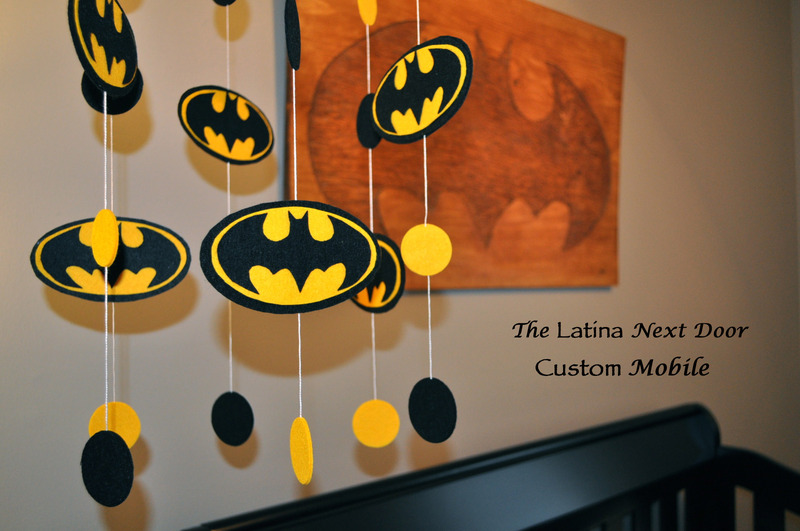 I made the following custom batman mobile for them since I really couldn’t find any super hero themed nursery items and whenever I did find custom made pieces they were ridiculously expensive. See the complete tutorial on how I made this here. 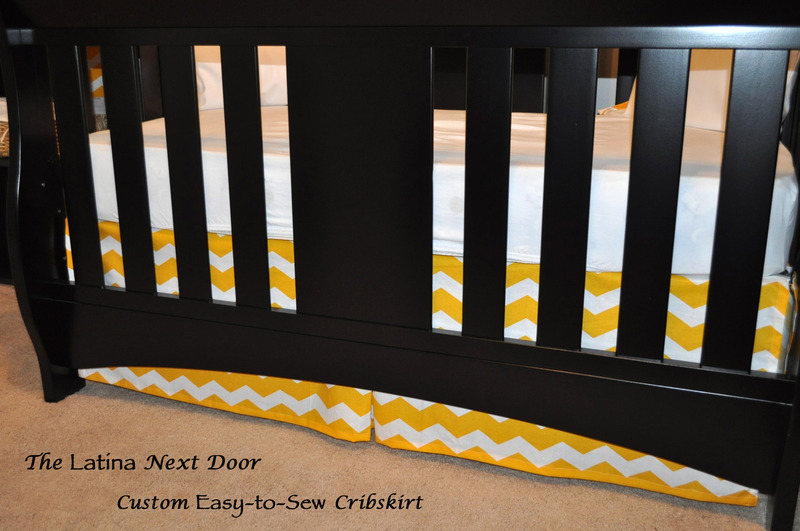 And thanks to my wonderful and amazingly talented mother-in-law, we made the following bedskirt together inspired by one of my favorite blogs, Young House Love. I covered the back of the bookshelf with the same fabric so it could tie in with the rest of the room and not be too dark. I made a custom lamp shade so that you can see the batman symbol when it’s lit up! Oh yeah, this aunt is too cool! 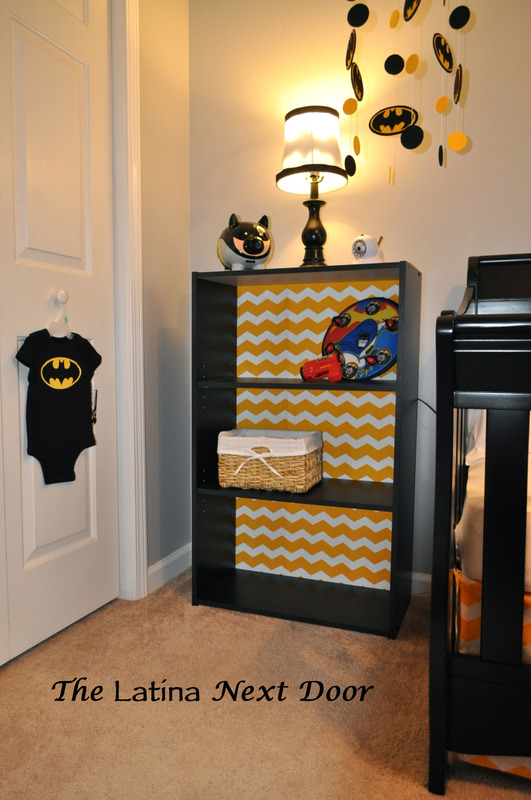 I painted the dresser they already had in the room to match the crib. You can see what it used to look like here. I customized some Lenda curtains from IKEA and transformed some spice racks into cute bookshelves. 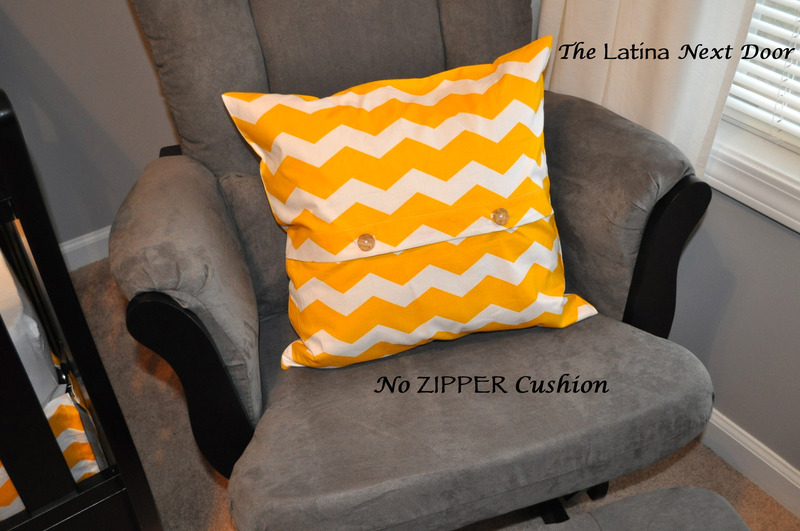 I made a zipper-less cushion for their rocking chair (again, thanks to my mother-in-law). We even made custom pillow cases for the crib. My husband updated all of the wall sockets with new whites one. Here is the back of the cushion. Who would have thought buttons would be so easy! 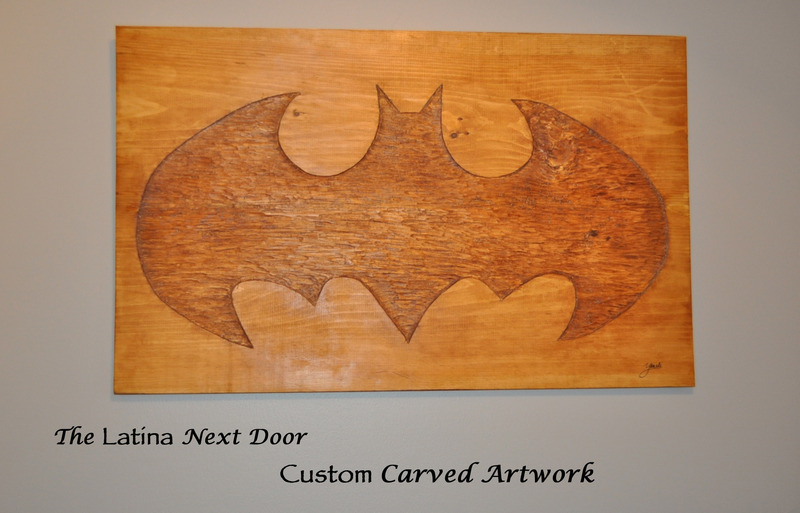 And finally, the best-est, coolest piece of all… the custom batman carving that both my husband and I created for the little guy. We wanted something unique that he could grow up and still enjoy (I mean wouldn’t you want this in your man-cave????). I will write individual posts on the different projects soon! Until then, I hope you liked how it turned out! We are so pleased. 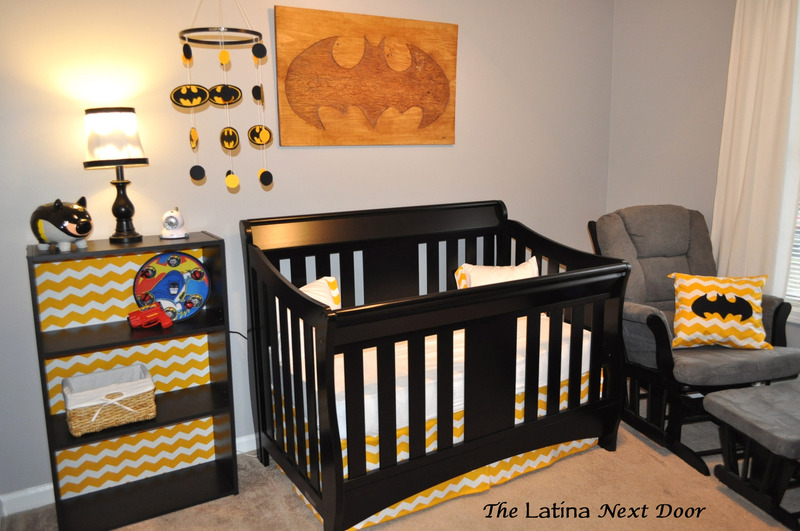 Now, we wait for our nephew due next month! 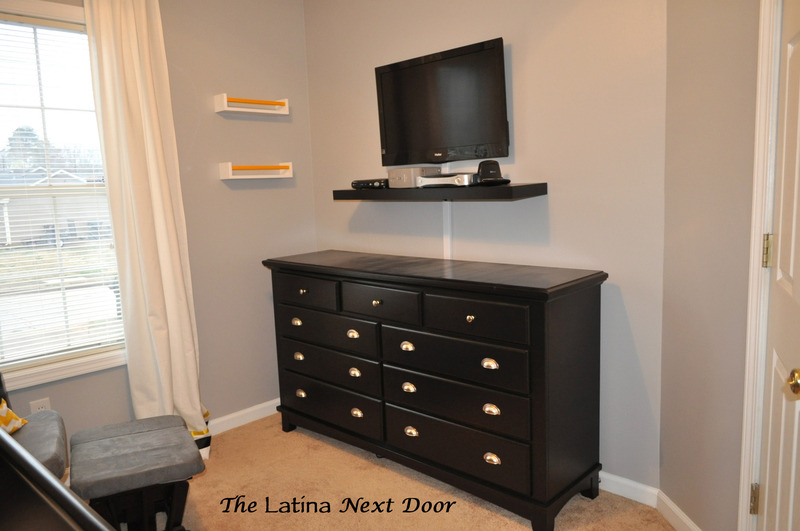 What color grey did you use on the walls?